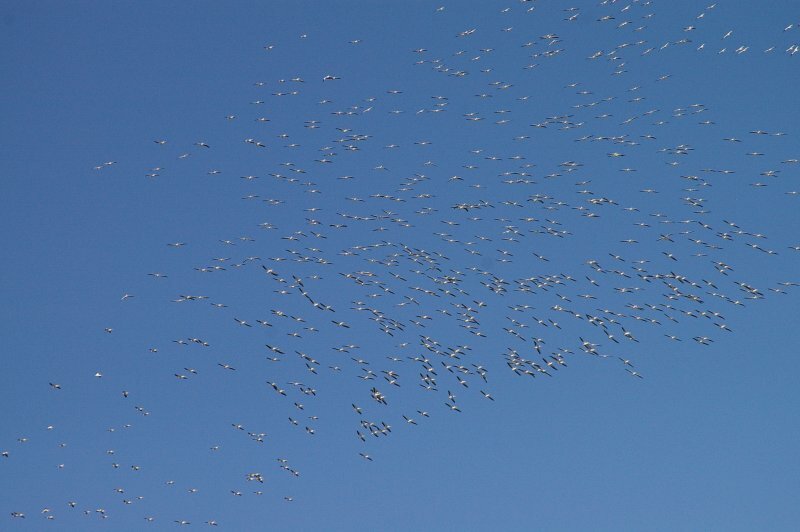 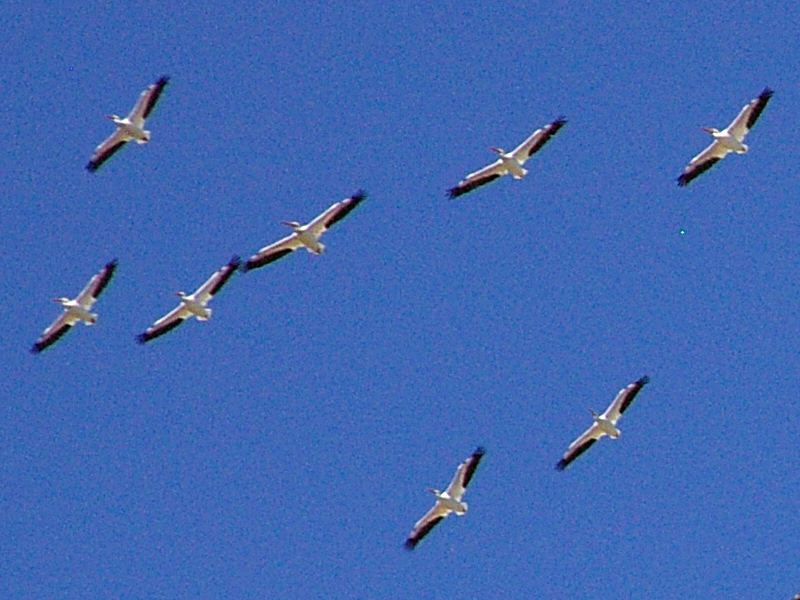 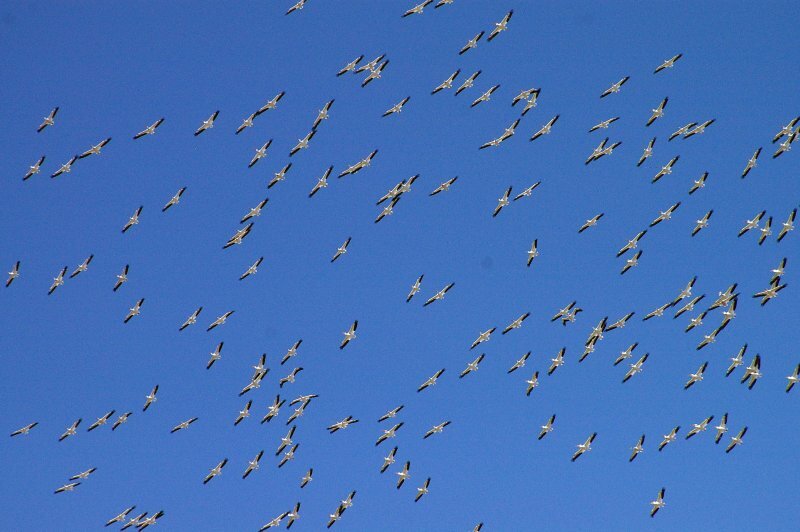 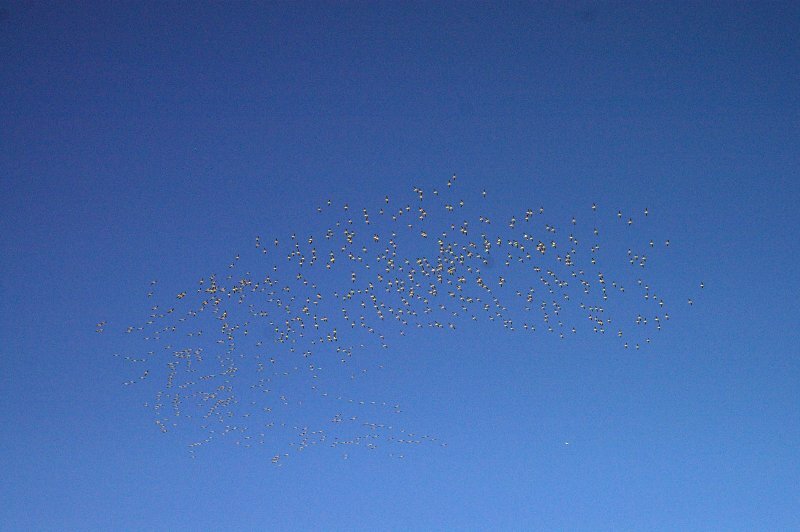 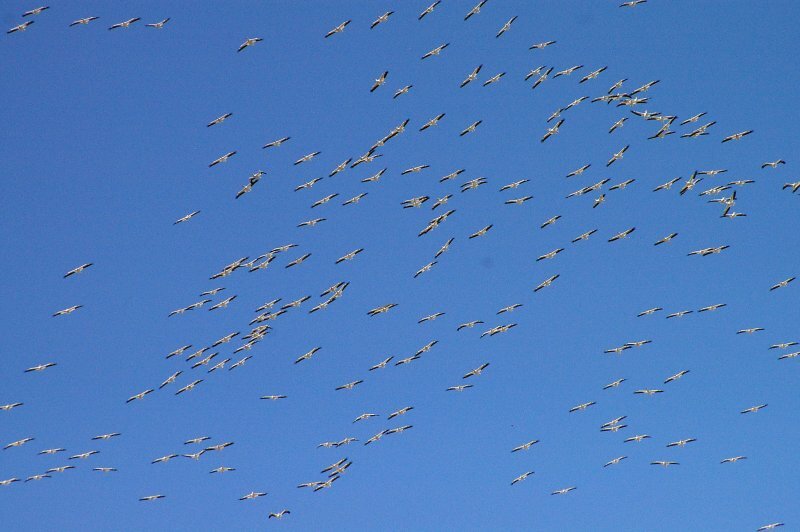 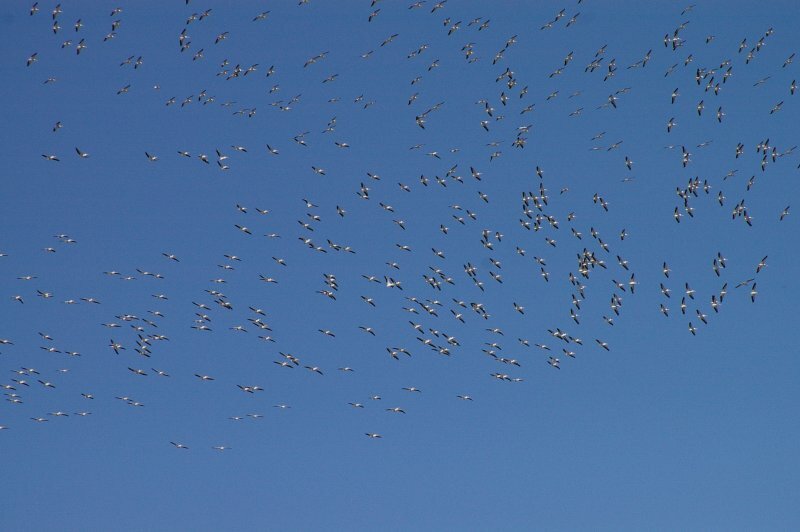 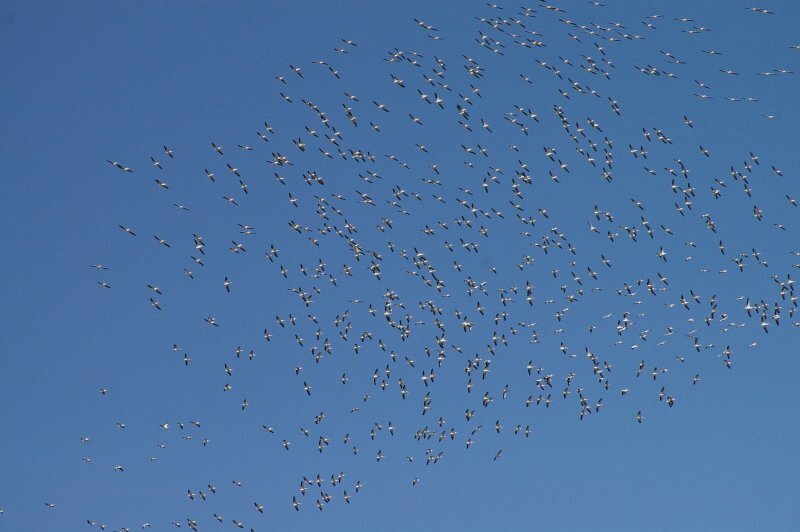 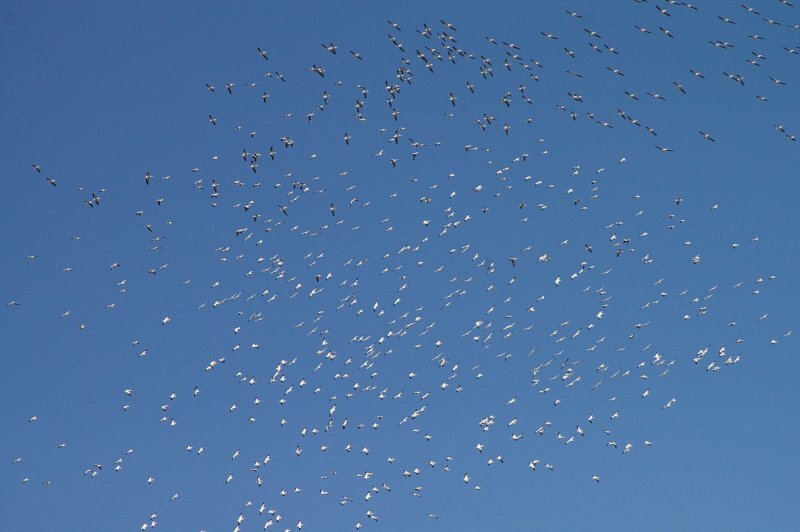 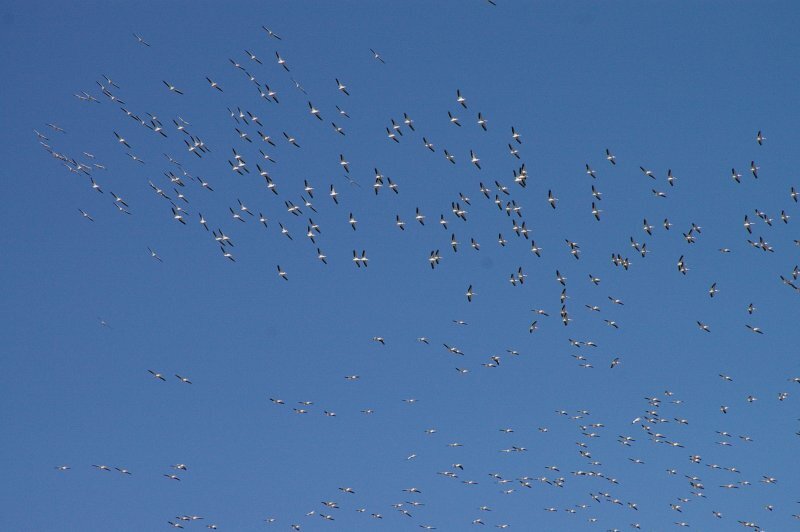 This pulsating swarm of migrating American White Pelicans passed over us while we were at a weekend soccer game. 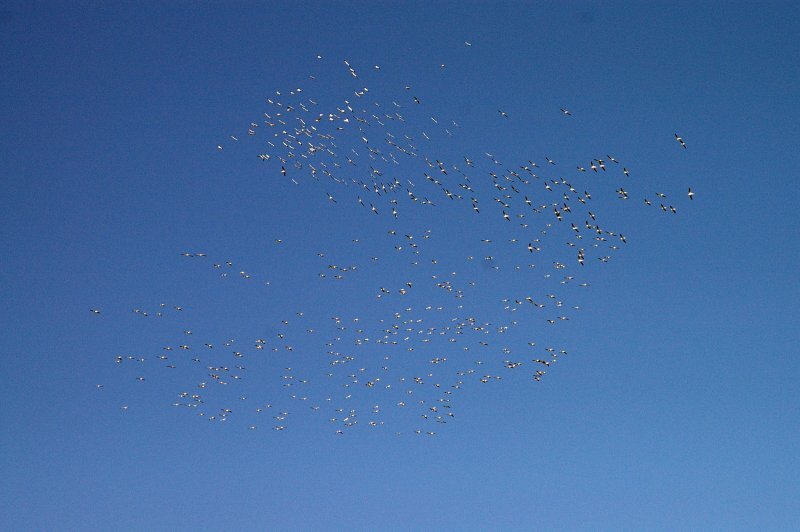 The shifting shapes, and the periodic flashes of first white and then black made this a very strange sight. 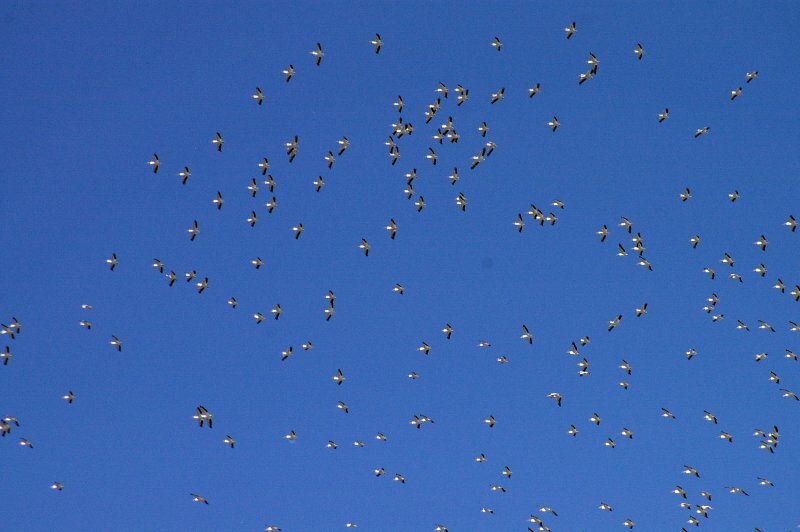 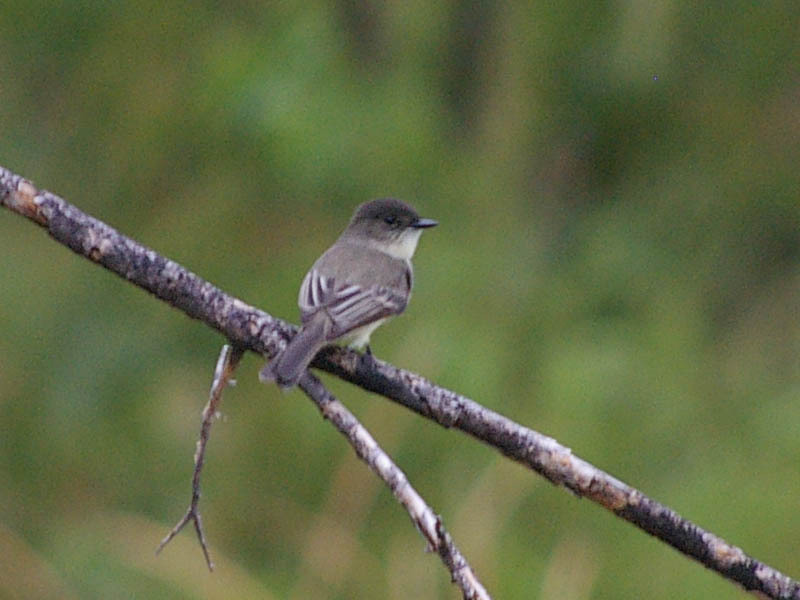 The birds were too high in the sky for a positive identification in the field. 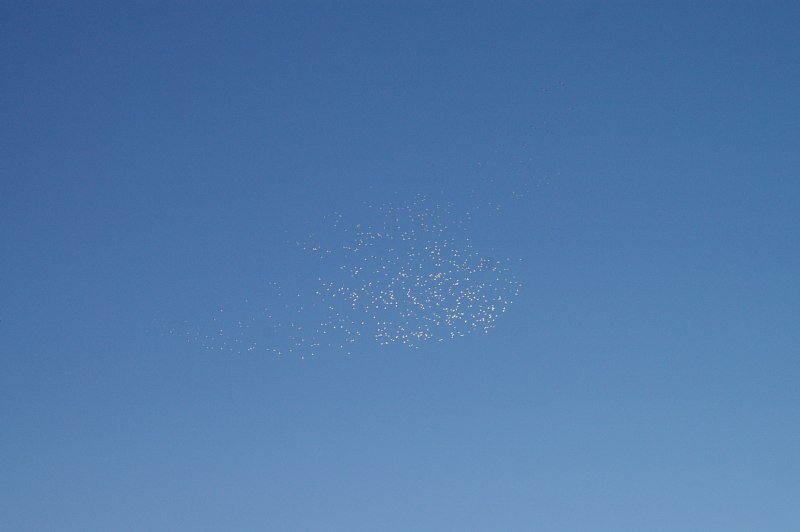 It was only after I returned home and reviewed the photographs that I was able to determine with certainty what we had seen.